Pedriana Plants is an Agricultural Industry Anchor building that grows on Low Density (Agricultural) Industrial Zones. 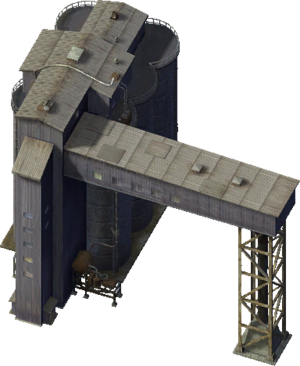 Anchor Buildings are the first buildings grown by SimCity 4's Industrial Zones, designed as a hub for all connected Fields, Machinery Buildings and Outbuildings. They are the only Industrial buildings that must be directly adjacent to a transferable Transit Network (eg. Road or Avenue). This page was last modified on 18 May 2014, at 14:54.